Filter By Height: Show All 5'3" 5'4" 5'5" 5'6" 5'8" Above 6'5"
This is the most beautiful skirt I have ever worn, so flattering and true to size. Perfect for summer and will be easy to dress in winter aswell! 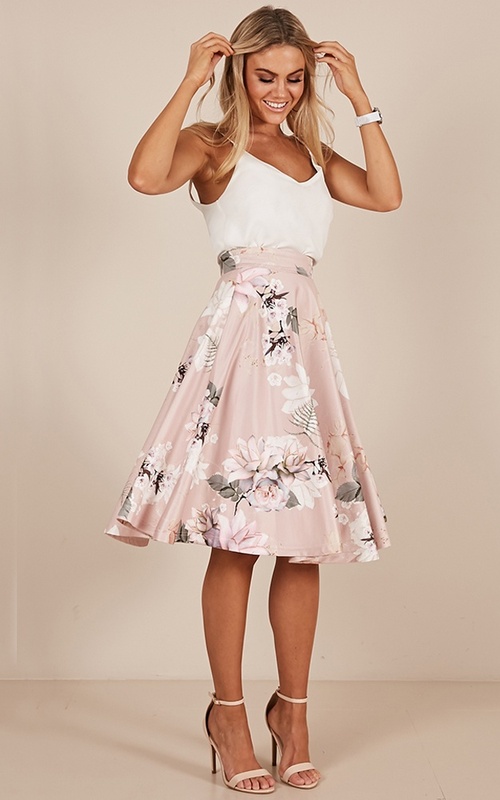 Love this skirt, purchased for races and it looks so classy. Size runs a little big in my opinion, if I was to do it over I’d probably get the next size down but I think it depends on your body shape. Overall a lovely skirt. This skirt was so stunning. The material is so thick and luxurious and I was actually surprised with how heavy it was! The cut makes it incredibly flattering and the waistband does have some stretch so if you're inbetween waist sizes you can size down. The colour and floral pattern is feminine and even more beautiful in real life. I unfortunately had to send my skirt back due to the waist stretching out too much after just trying it on for a short while but if I'd sized down originally I'm sure this wouldn't have been a problem. For reference I have a 70cm waist and bought the m(10). 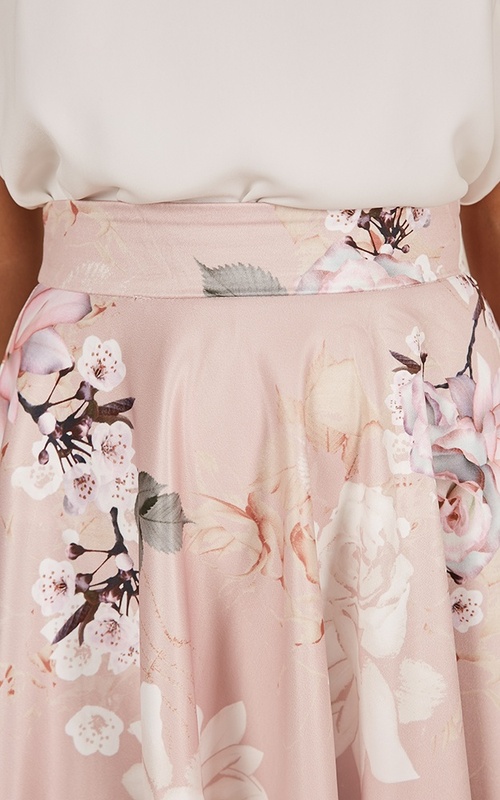 This skirt is beautiful and of great quality. It does run a little big I might go down a size but, I love it!! !